Vonda McIntyre passed away two weeks ago. I found that it hit me rather hard, and didn’t want to blog about it for a while. Here’s the thing: I don’t think I ever got to meet her. And that’s remarkable, because, she was sort of always there. We were in the same field, we moved among the same people, were at the same conventions, often. On a panel opposite mine, perhaps, or on the other side of the room in a party; doing a reading at a time not convenient for me to come in and listen. Our books appeared together in the Feminist Futures Story Bundle, and there was a certain amount of emails back and forth among the participants and packager. But that’s not real contact. I guess that’s the thing making me especially sad: that I never got the chance. We were not close… but might we have been? I’ll never know. But her books are still here. 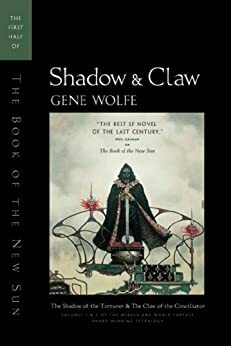 And then, a few days ago, it was Gene Wolfe that we lost. Tor.com has the best tribute to him and his work. I can’t really add to it. And his books are also still here. And then, of course, Notre Dame. You’ve heard about the fire, I’m sure. But the good news there is that it was not completely destroyed. When I first heard about it, it looked like the entire cathedral was gone, and I was astonished at how devastated I was. Yes, I am an atheist — but religion did not build Notre Dame; human beings did. Human minds, human hands. An as an atheist, it’s the human spirit that I find holy, and every object of beauty we create is sacred. Human beings… well, we don’t last. But the things we make — they go on after us. That’s what they’re for, I think. Well, any time in about the next 72 hours, that is. 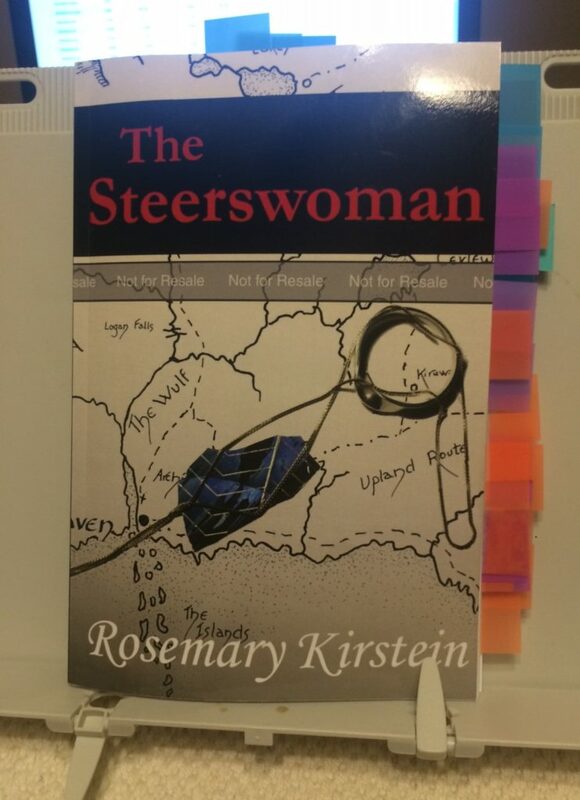 I just okayed the larger-format version of The Steerswoman, and KDP is now doing its final review. In the meantime, I’ve unpublished the small-format version. Which means that for a few days, you can’t buy any paperback version of The Steerswoman at all… except, I just checked, and it looks like the “unpublish” command hasn’t taken effect yet. Well, it takes time to promulgate across the system, I suppose. Oh, and Canada. Inexplicably Amazon.ca takes a while to catch up. Could be a couple of weeks. The list of Hugo Award nominees is out! I’m sure you’ve already seen it. But on the off-chance that you read no other blogs, no other SFF news, and don’t have a Facebook or Twitter account — well, take a moment and click over to the official Hugo Award Website for the list. And please notice that Jo Walton is on the list, for “Best Related Work,” An Informal History of the Hugos: A Personal Look Back at the Hugo Awards, 1953-2000. This book is not only a great resource, it’s wonderfully entertaining, as Jo gives us her take on the previous Hugo winners (those that she has read), as well as an overview of what what else was available each year. It’s eye-opening, and fun. I got a chance to hear Jo read a chapter of Lent at the Scintillation convention in Montreal last year, and I loved it. Can’t wait for it to show up on my Kindle (I’ve pre-ordered). 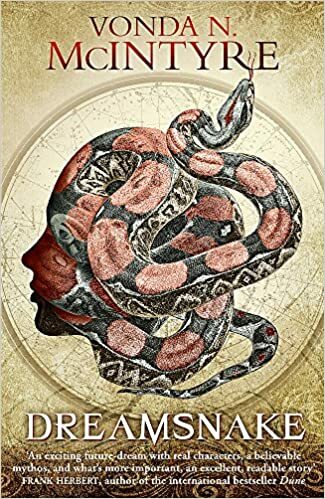 Also, let’s not forget that Laurie J. Marks’ final volume of her Elemental Logic series, Air Logic, will be out on June 4. It just got a great review from Publisher’s Weekly, but you know what? Don’t read that review! They give too much of the plot away in their reviews! This is because Publishers Weekly is aimed at booksellers and libraries and people in the biz — that is, people who might not actually read the book, but want to know about it, and need to decide if they should to stock it to sell, or to make available to library patrons. But you do want to read it, so — no spoilers, right? Inexplicably, on April 10, forty-seven people bought copies of my ebooks. Usually, a bump like that can be traced to a review or something, but all Google can find is one quick mention in a comment stream answering a question by someone on Reddit. You wouldn’t think that would be enough for that big a bump. But I am not complaining, just reporting. 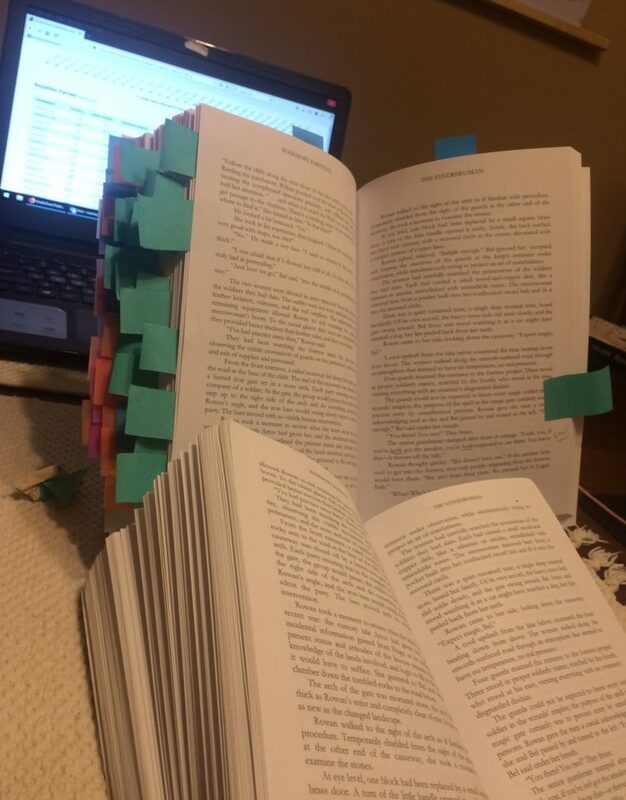 So there I was, just doing a final proofreading of the full-sized edition of The Steerswoman– sort of cruising along, since the text had been scrupulously proof-read so many times before. Even the few typos that slipped by in the previous edition had already been noted and expunged! The cover came back looking really good, with just a couple of tiny adjustments needed (their barcode white area was differently-sized from the space I left for it; the black area of the spine needed to be just a hair wider). All I needed was just this one last check before releasing the book into the wilds. I was halfway through the book, when I found myself slowing down, pausing… and thinking back. Hey, wasn’t that one word, there, originally said a bit more… emphatically? Pulled out the previous edition, and: Yep. Every one of my italics had vanished. Not just words stated with vehemence, but the names of ships, and certain types of internal musings — all the italics, gone. This was caused by the copy-and-paste process, when I took the text from the .doc version of the smaller-sized edition and pasted it into a new document formatted to the larger size. I strongly suspect that when I pasted, MSWord might have asked me a question like, “Hey, do you really want to do this? Because, you know, you’re going to lose all your formatting. You’re all right with that, right? Just sayin’.” To which I likely blithely replied, “But of course! This document is formatted to a larger size! I would not want to keep the setup of the smaller size. That would just be silly.” And hit OK.
Reconstructing from supposition, there, but that’s probably what happened. So, here I am looking at every page of the old edition, finding every instance of italics, finding the place in the current edition, and flagging it. After which I’ll fix it in the document, reconvert to PDF for publication, upload it, get yet another proof copy, and scrutinize it again. On the up-side, the cover came out pretty darn good, and the ring, jewel, and chain show no sign of having been extracted and pasted cheesily onto the map. I’m happy with that. So, just do this, get it done, re-upload, get a new proof copy. After this: Time to do my taxes. Which, after all this proofing and correcting… well, I’d almost prefer to be doing my taxes. Not quite, but almost.